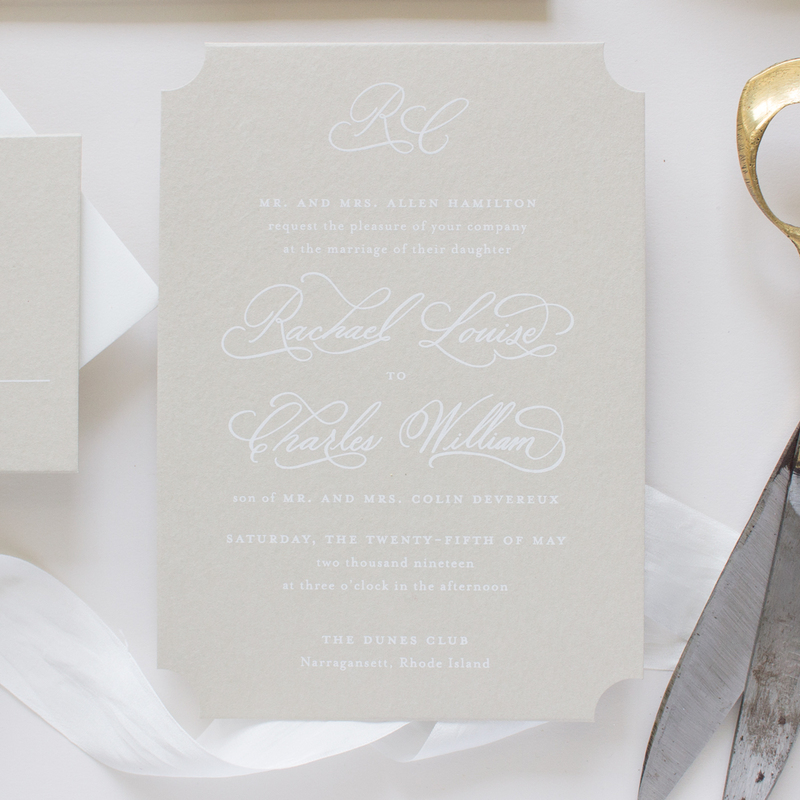 These white ink calligraphy wedding invitations feature custom hand calligraphy on handmade Italian paper in soft gray. 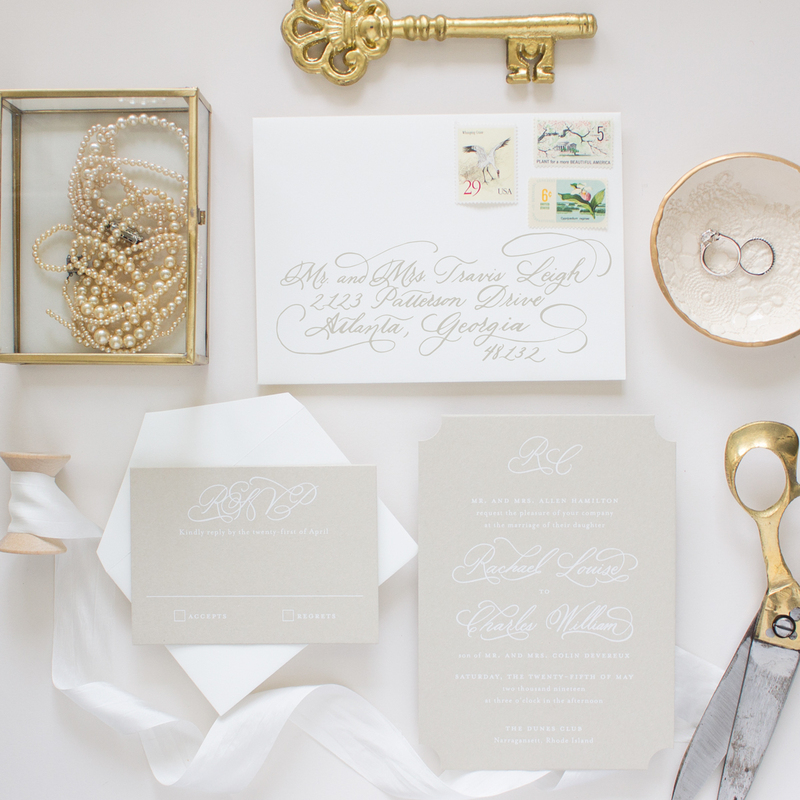 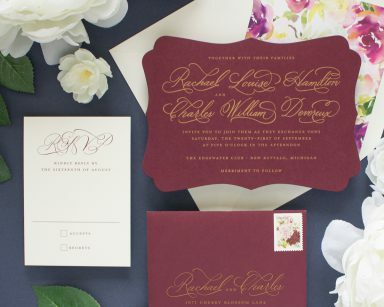 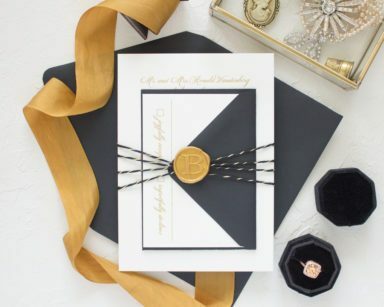 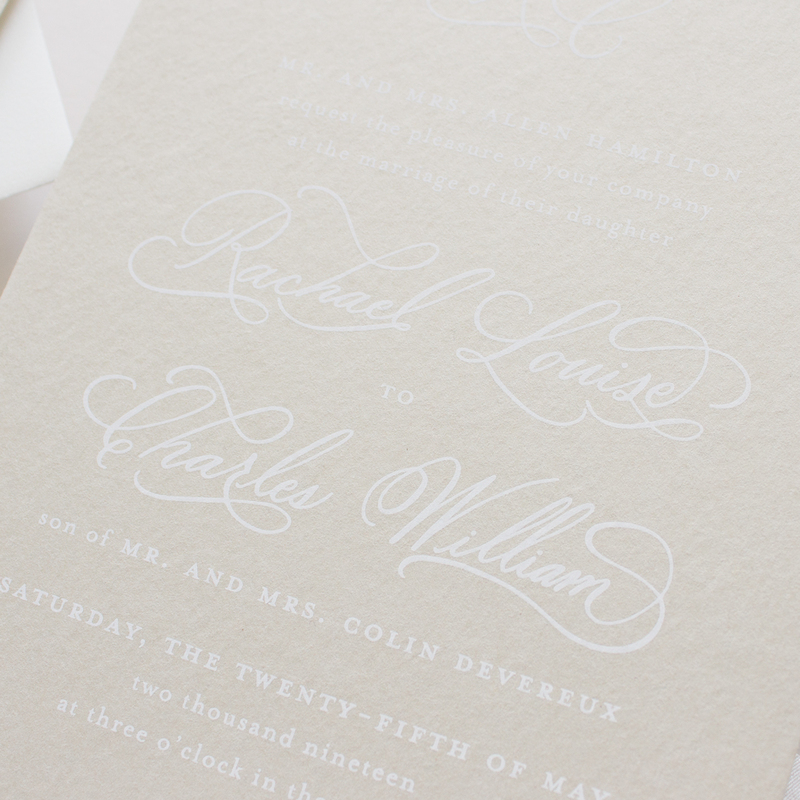 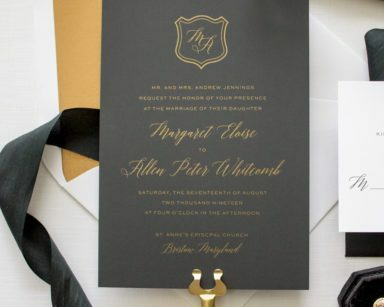 The neutral colors give the invitation suite a romantic yet traditional style. 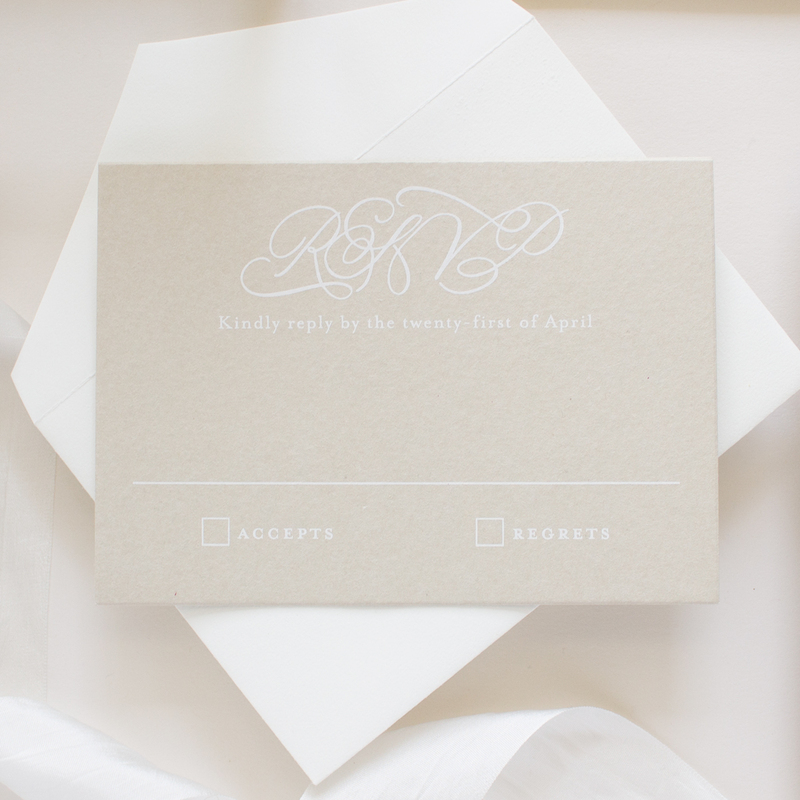 Custom hand calligraphy provided by Made by Meer.